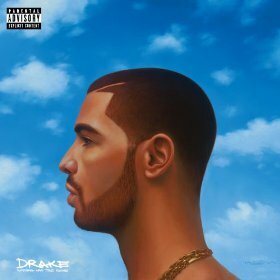 Nothing Was the Same is Drake’s third studio album. Often criticized for being quite the emo-rapper at times, this particular criticism boasts Drake’s greatest strength. Sure, he alternates between a rich R&B soulful singer style, like on the dance floor scorcher “Hold On, We’re Going Home,” and also effortlessly breaks into his signature sleek rap delivery, but clearly nothing is lost and everything gained. Nothing Was the Same refreshingly sounds like no other rap album out and its success proves that detaching from mainstream gimmicks works. The thoughtful, serious introspection and daring to address a multi-faceted female persona also intrigues. A male rap artist taking into consideration the intellectual and emotional prowess of a woman is astounding. Of course, there are immediate and expected unflinching anthem tracks like “Started From the Bottom,” and “Worse Behavior,” but then there are the wonderfully textured tracks like “From Time,” featuring gorgeous vocals by singer Jhené Aiko as Drake analyzes relationships, as well as a father and son’s restless bond. “Too Much” contains soulfully endearing vocals from Sampha of the UK electronic group SBTRKT that shine next to Drake’s rhyme skills. “Pound Cake/Paris Morton Music 2” with Jay-Z is hypnotic and jazz-infused and on the second side of the track, Drake reiterates his difference, which is no doubt the reason for his wild success. He raps, against slaps of drum and a new age-inspired melody, “When I’m ’bout to drop something crazy and not say I’m the greatest of my generation, like I should be dressing different, like I should be less aggressive and pessimistic, like I should be way more nervous and less dismissive,” it further proves that an introspective, romantic rap artist still wins at the end of the day no matter what because art depends on the size and sound of the heart.